Most of the protected devices on the market look the same: a thick body and a clumsy design, plus a constant inconvenience in use. But ioutdoor X combines the power of impact-resistant models with a fashionable style and elegant appearance. The thickness of the ioutdoor X is only 10.5 mm. This makes the novelty the thinnest shock-resistant device in the world. But is this device really not afraid of bumps and falls with such a thick body? ioutdoor X is made of a strong aluminum frame and durable material manufactured by Germany Bayer TPU. This makes the smartphone protected from all sides and does not allow it to break, break or damage in any other way. 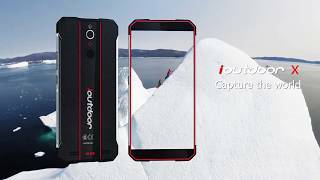 With this case, the ioutdoor X can easily withstand too low or vice versa, very high temperatures, so it is suitable for use in almost all weather conditions. Under the stylish and protected case ioutdoor X, powerful features are hidden. The heart of the device is the MediaTek MTK6763 (Helio P23) processor. In the work he is helped by 6GB of RAM and 128GB of internal memory. This stuffing easily launches all the latest games, videos or movies in HD-quality and a bunch of other applications. And all this works simultaneously. Since ioutdoor X is considered a smartphone for extreme people and those working on the street, it must necessarily meet the requirements and be waterproof. Therefore, the ioutdoor X was provided with protection against water and dust according to the IP68 standard. In addition, the creators covered the case with an improved sealant and covered the headphones, speaker, buzer and USB port with a special protective film. In addition, ioutdoor X was equipped with a modern widescreen display, a front camera with 13.0MP and a dual main camera with 16.0MP and 8.0MP modules. In the presence of technology fast charging 9V/2A, Android 8.1, Face Recognition, NFC-module, SOS button and stuff. 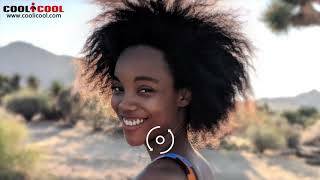 If you have strict requirements for a smartphone and you want it to be stylish, durable and waterproof, then ioutdoor X is a great option that will cope with any difficulties.